Outlawed cannabis plant could provide solutions to a host of problems facing the country today. 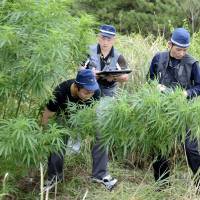 Every summer in Hokkaido and northern Honshu, platoons of police and public servants scour the countryside for cannabis. For a nation well-known for its strict drug laws, the plants are remarkably easy to find. In an average year, patrols discover between 1 million and 2 million of them — some sown by illicit smokers but the majority are the feral progeny of cannabis legally cultivated prior to its prohibition under the 1948 Cannabis Control Act. Regardless of the plants’ origins, they’re pulled out by their roots, loaded into vans and incinerated in bonfires upwind from inhabited areas. For a long time, few people questioned these annual eradication campaigns. Now, however, a vocal minority is challenging their efficacy — and Japan’s overall approach to cannabis. One of these critics is Hideo Nagayoshi, author of “Taima Nyumon” (“An Introduction to Cannabis”), which was published in 2009. In his book, Nagayoshi argues that the millions of cannabis plants destroyed each year ought to be better used as medicine, biomass energy and in the construction industries. Nagayoshi also highlights the senselessness of current laws, which impede domestic research into medicinal cannabis and drive scientists overseas to conduct their studies. Another cannabis advocate is Yukio Funai, author of “Akuho! Taima Torishimariho no Shinjitsu” (“Bad Law! The Truth Behind the Cannabis Control Act”), which was published in 2012. In a detailed breakdown of the potential economic benefits of legalizing cannabis in Japan, Funai calculates the country could reap as much as ¥30 trillion from the plant. Cannabis, he writes, is a golden egg. Whether legalization would live up to these authors’ economic promises is uncertain. What, however, could be guaranteed are the human benefits. Each year, Japanese police arrest approximately 2,000 people for possession of cannabis; making no distinction between recreational or medicinal users, the courts typically imprison them for up to five years. 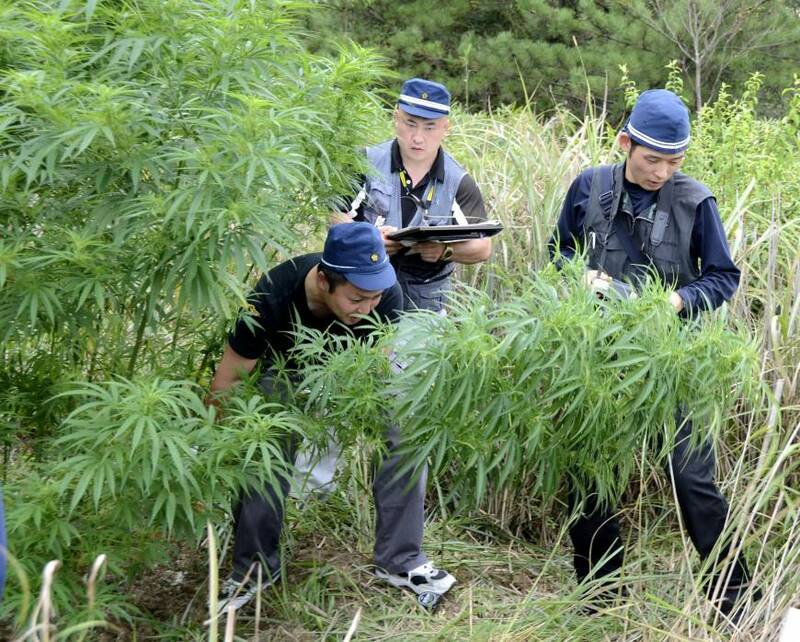 Such treatment seems to ignore Japan’s long, but forgotten, history of cannabis cultivation. In 2008, for example, a sumo wrestler was arrested for possession of the same plant from which his sport’s top yokozuna belts are woven. Today, the Tokyo Metropolitan Police Department website contains sweeping claims about cannabis — for example, smoking “provokes hallucinations and delusions, violent behavior” — that are inconsistent with recent research. All of this comes at a time when the United States itself is moving away from a zero tolerance approach toward harm reduction. Today, 20 states in the U.S. allow the sale of medical marijuana; Colorado and Washington have legalized it entirely. One U.S. economist estimates the potential size of the American cannabis market to reach more than $10 billion by 2018. However, the public debate on cannabis policy that has been raging abroad since the 1960s has yet to reach the shores of Japan. Until such discussion takes place, the benefits that cannabis could bring to the domestic economy are generally unknown. Bumper — but currently illegal — crops already flourish across northern Japan, grown without agricultural chemicals or, in most cases, human intervention. Put to proper use, these plants could provide solutions to a host of problems facing the country today, including the paper industries’ over-reliance on trees, the care quality of thousands of cancer patients and agricultural decline — particularly in post-3/11 Tohoku. Until Japan re-appraises its cannabis heritage and embarks upon an open discussion of its war on weed, all of this potential will continue to go up in smoke.